Brooke’s second book, The Sugar Detox: Lose Weight, Feel Great and Look Years Younger (Da Capo) came out in June 2013. Her first book, Healthy Eating During Pregnancy (Kyle Books) was out in 2011. Claire Shorenstein, M.S. R.D. C.D.N. is a New York State Certified Dietitian-Nutritionist as well as a Road Runners Club of America certified coach. As an avid runner since high school, Claire has competed in numerous team and solo running events over the past 20 years from the 5km to 50-mile distance. She combines this personal running experience with her nutrition and coaching expertise to help athletes achieve their performance goals. She also counsels non-athletes on weight loss, chronic disease prevention and management, and general healthy eating. Claire has contributed her nutrition and coaching advice to a variety of media outlets and publications, including Thrillist.com, UnderArmour.com, Livestrong.com, Competitor.com, Salon.com, Runner's World, RunnersWorld.com, NY1 News, Max Sports and Fitness, and Real Women Run. 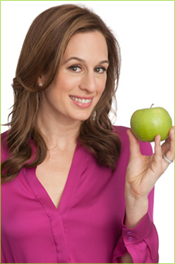 Alena Kharlamenko, MS, RD, CDN, is a New York State Certified Dietitian-Nutritionist. Alena earned a dual Bachelor of Science degree in Dietetics and Dance at Western Michigan University and moved to New York City to complete her Master's degree in Clinical Nutrition at New York University. She completed her one-year intensive dietetic internship at NewYork-Presbyterian Hospital. 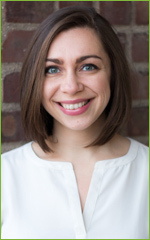 In addition to B Nutritious, Alena currently works as a clinical inpatient dietitian at Montefiore Medical Center, where she sees patients with conditions such as heart disease, obesity, and diabetes. Her years performing as a dancer fueled her passion for nutrition and health. Alena loves to encourage a positive relationship with food and how to find that happy balance between delicious food and a healthy lifestyle. 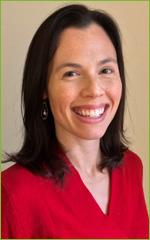 Alena is an active member of the Academy of Nutrition and Dietetics (AND), New York State Academy of Nutrition and Dietetics (NYSAND), and Dietetic Practice Groups including the Sports, Cardiovascular, Wellness Nutrition, and Nutrition Entrepreneurs groups. In her free time, Alena is an avid food, fitness, and nature enthusiast. Often, Alena can be found at one of her favorite yoga/cycling studios, hiking the Hudson Valley, cooking up a storm in her kitchen, or diving into the vast culinary scene that makes up New York City.